Size of this preview: 800 × 600 pixels. Other resolutions: 320 × 240 pixels | 1,690 × 1,267 pixels. The entrance to the Eat In restaurant. This is now the route round to the toilets. 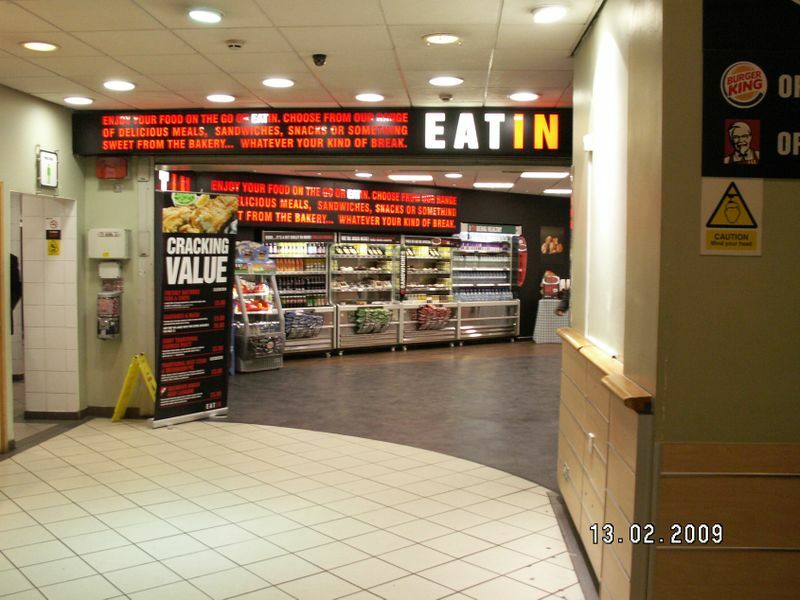 Photo taken whilst travelling northbound on 13/02/2009 by Johnathan404 for Motorway Services Online (licensing).